Irika Mellin is exclusively dedicated to her Michigan clients in the areas of divorce and family law. She is completely focused on the needs of her clients and aggressively fights for the best outcome. A 1996 graduate of the University of Detroit Mercy School of Law, she has been practicing family law since 1997. Ms. Mellin has years of experience in complex divorce and custody cases that range from amicable to contentious. Ms. Mellin devotes herself to each individual case and gives specific attention to both the present and future needs of each client. Ms. Mellin is a member of the Family Law Section of the State Bar of Michigan and the Michigan Inter-Professional Association, and has served as a past chair and current member of the Oakland County Bar Association Family Court Committee. She has also served on the board of trustees for CARE House of Oakland County. Her dedication to her clients is mirrored in her dedication to her community and she volunteers with the Family Law Assistance Project. Her commitment is also demonstrated by her awards for charitable service and The Certificate of Appreciation from the Women's Survival Center. Additionally, Irika Mellin is well-known in the legal community, is a certified domestic relations mediator, co-author with Kristen Robinson of the Parenting Time Chapter in the LexisNexis Practice Guide: Michigan Family Law 2016- 2018 and is often a guest lecturer on family law related matters. 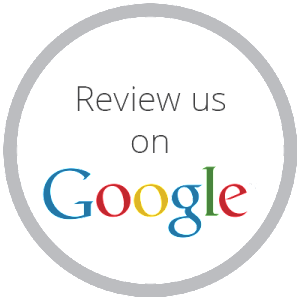 Clients in Michigan who need assistance in the areas of divorce, custody. 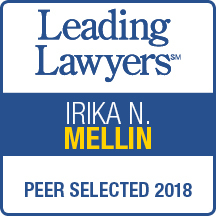 parenting time, child support, spousal support, paternity, post-judgment enforcement and more find that Irika Mellin offers compassionate and thorough representation to all who require her services.